There is so much holiday goodness in this post!! These Homemade Healthy Peppermint Patties are making Christmas magical at my house. The fact that not one but three of you can win 5-pounds of incredible, high quality chocolate makes me even happier! What’s fabulous about these Peppermint Patties is that they act like a treat, but your body will appreciate them as nourishment. Ah, such a win-win. The peppermint truly fills your mouth with Christmas. Oh, and the chocolate. Well, the combination is basic perfection. Let’s pause a moment to talk about the chocolate in this recipe. You can use any unsweetened cocoa powder you like. But the higher the quality, the better these will taste. Olive Nation is one of my favorite online resources. I’ve bought my vanilla beans there for years! They recently sent me a huge box of a variety of cocoa powders to work with, and now I am spoiled rotten. Just when I thought chocolate couldn’t get any better, it got even better. These cocoa powders are super fine, super rich, and super flavorful. Not all chocolate is created equal. These cocoa powders rise above the rest. The stuff in a can at the store DOES NOT compare. Just look through all the varieties they offer! Their prices are super reasonable for the quality. (Plus when you use the code home they give HeavenlyHomemakers readers a 20% discount, so that seals the deal!) Go grab your cocoa, and sign up to win some below too! In a small saucepan, melt ½ cup coconut oil. Remove from heat and add stevia and peppermint extract. Place in the freezer for about 20 minutes or until this peppermint layer has hardened. Meanwhile, melt remaining ½ cup coconut oil in the saucepan with cocoa powder, butter, and honey. Allow the mixture to cool while waiting for the peppermint layer to freeze. Pour the chocolate mixture over the peppermint layer and freeze for 20 or more minutes until the patties have hardened. Store Peppermint Patties in the refrigerator. Don’t let the word “healthy” in this title scare you into thinking that these won’t taste like a treat. And don’t let the stevia in this recipe scare you away either. In my experience, the honey in the chocolate layer overrides anything bitter from the stevia. Ready to win some chocolate?! Your chocolate recipe options will be endless! And guess what?! While just three of you will win the above prize package, everyone who signs up will get this free eBook to enjoy with your family! So sign up below, go grab your cocoa from Olive Nation, and get your chocolate on! Sign up to win the Cocoa Package from Olive Nation! We’ll draw a random winner and email you on Friday, December 7. Seen without giveaway, this is exciting news. I use so much cocoa powder and while I’ve found a decent one that beats hersheys, I have never found “the one” and know I could do better. Although now I want to try all the types in a tasting competition to see which one is just fight for me! We have taken to adding cocoa powder to our pancakes. Gives them a nice chocolate boost. I am excited to make your peppermint patties! Thank you so much! We eat honey and a little stevia and that’s it as far as sweeteners go. I love peppermint and enjoy peppermint tea. Now I can enjoy the peppermints patties too! Hurray! Would love the try the different cocoas. ? This just might be the recipe that makes me go out and finally buy some stevia. Thanks Laura! Chocolate caramel pretzel bark is amazing! Or just mixing some cocoa powder, heavy cream, and a little sweetener if you want. Yummy! This cocoa powder sounds wonderful and these peppermint patties look amazing!!! I plan on making these. One of my favorite chocolate recipes is Black Bottom Cupcakes! I *love* cocoa!!! Sounds fabulous. Brownies! Thanks for a great giveaway! Hot Cocoa is a favorite right now. Thank you for such a great giveaway! It’s hard to say what my favorite chocolate recipe is. I love my chocolate smoothies, chocolate fat bombs, chocolate chip cookies, brownies, hot chocolate, you get the idea. I order my extracts from Olive Nation and would love to try their cocoa powder. I’m also going to try this recipe. This is so simple, but it’s a recipe I use a lot. I make a ganache and dip frozen blueberries into them to make a low carb “raisinette.” *I freeze fresh blueberries on a parchment lined baking sheet. After they’re dipped, I return them to the freezer then later store in the fridge. This looks delicious! Will definitely have to try it! Chocolate energy balls! Would love to try these different cocoas! Chocolate, what more is there to say!! I think I will try this recipe! Oh, I love chocolate! But I didn’t know there were so many kinds of cocoa (besides cheaper and better). How do you know which kind to use when? Or is it just a matter of taste preference? Thank you for the opportunity to win! These look fabulous! I love making a personal cup of hot chocolate after the kids go to bed – a spoonful of plain cocoa powder in a mug of hot milk, with a little favorite sweetener. This would make MUCH better cocoa than the Aldi brand! ;) Thank you and blessings to your sweet tribe of men including a wonderful bonus boy this year! These look so yummy!!! What muffin cups do you use? Silicone? Paper-lined? I think they look like her silicone cups; I was trying to figure out how to get the cute shapes. My favorite chocolate recipe is a mixture of chocolate and peanut butter powder with stevia and a little almond milk. It makes a frosting that I eat with a spoon. By itself. 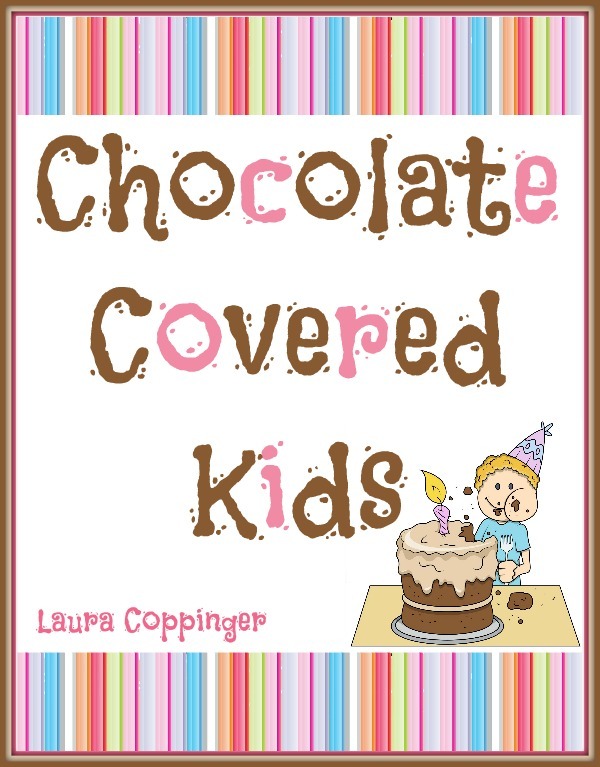 My favorite cocoa recipe is probably hot chocolate since it is simple and comes along with lots of sweet memories for my kiddos! They ask for it often and LOVE it when I actually make it. Thank you for this recipe though. My husband has lots of food sensitivities and I think I can adapt this to work for him, which will be great for this Christmas. His family tradition of more than a dozen types of cookies plus candies will not work for him so having a few new, fun treats is high on my list of things to do this year! Oh, I am so happy to see this low sugar, almost sugar free, candy I cam make for my family. Thank you so much for your recipes, Laura!! Thanks for the recipe and giveaway. I like using chocolate in smoothies. There are a bunch of new recipes I’d like to try as well. I love me some chocolate!! My favorite chocolate recipe is a 9 layer dobashe cake draped in ganache. Oooh, good! My daughter would LOVE it if I won this package! She uses cocoa in so many recipes! My favorite recipe with chocolate has always been brownies, but those peppermint patties look amazing and I have to try them! Love real healthy treats! I also make hot chocolate with just hot milk, cocao, and maple syrup. So, so good! This looks simple but amazing! Looking to add some healthier options to my Christmas baking this year, so this fits the bill. I don’t have a favorite chocolate recipe, but love the good quality cocoa and have made my own cocoa mix for hot chocolate, and even given it as gifts. My new favorite chocolate recipe is a chocolate raspberry layer cake by Taste of Home. It has a lovely raspberry filling and creamy chocolate frosting. I made it with a chocolate raspberry flavored coffee in the cake batter and the aroma was enticing! These look great and free chocolate to boot. Merry Christmas to me (and my family). I can’t pick my fave chocolate recipe… too many! There are so many good ones on this site!! I love homemade peanut butter cups. And these peppermint patties look great. 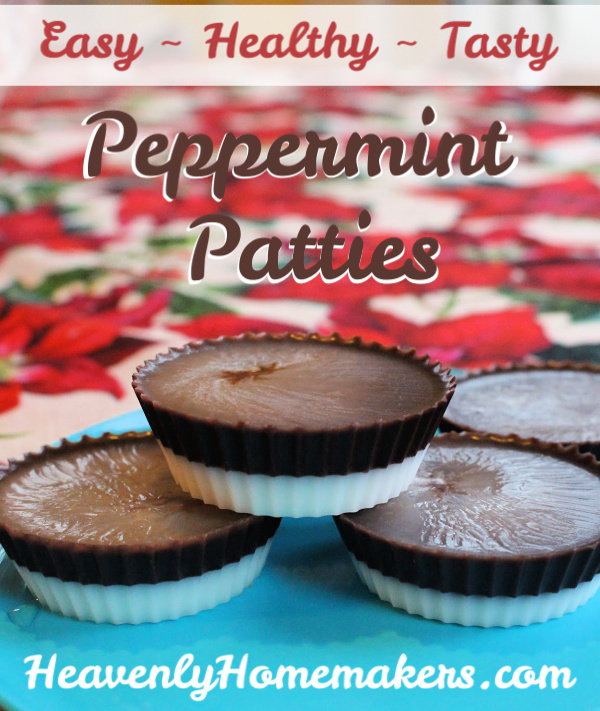 I am going to try these peppermint patties right away! Thank you for the opportunity to win some chocolate. Sounds fabulous. LOVE!! Crossing my fingers to win! If we don’t have liquid stevia, what is the substitution? Or should we just go get some liquid stevia and be done with it? 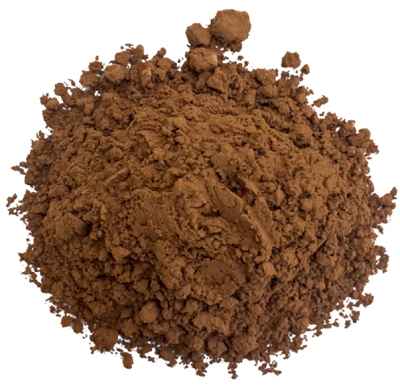 My current favorite use of cocoa powder is to make a hot cocoa mix and use a tablespoon or two in my coffee….. with some cream! It’s like my own little quiet mommy moment during nap time! ? But seriously, how can I pick a true favorite cocoa recipe? Can’t wait to try this! Sounds easy and delicious!! I’ve been looking for a good ‘dark cocoa’ (and excited about the black cocoa for that occasional “I want a soccer ball birthday cake” frosting need). Just last weekend I made us some of your “warm chocolate soother”–heavenly! Oh such a wonderful giveaway! My favorite recipes are for chocolate mousse, brownies, and German chocolate cake. But then anything with chocolate is a winner! ? I love all things chocolate but I think brownies are the best! I can’t wait to try the peppermint patties and the cocoa powder! Can’t wait to try these candies. They’ll fit right into my new diet plan. Thanks for sharing! Cant wait to try this. My niece loves peppermint so I’m thinking we can make some together. Pick a favorite chocolate recipe, are you nuts???? ;-) I love them all, but right now I’m really digging peppermint hot cocoa. Our family’s most used and loved recipe is a Chocolate Soufle that we make just about every Sunday morning. And it uses cocoa, so I’d love to try it with better quality cocoa! My daughter and I can’t wait to try these Peppermint patties! 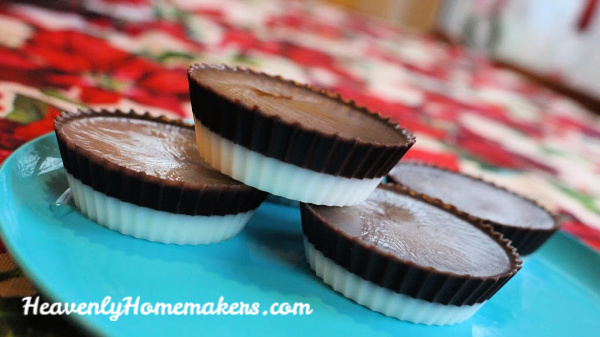 Peppermint patties are a favorite so I would like to try this recipe. Your chocolate peanut butter fat bombs are another of my favorites. How can you have A favorite when it comes to chocolate? Thanks for the opportunity to win. Yet another delicious recipe! Thanks Laura! I like dairy free chocolate pudding! I have to pick ONE recipe with chocolate! ;-) If I had to pick, it would be brownies. Easy and quick to make to give me my “chocolate fix”. So timely, with Christmas candy time here. I would double the chocolate and put some on both the top and bottom to double the chocolately goodness! I like melting some butter and stirring in Enjoy Life chocolate chips. Yum!! We also make homemade hot cocoa at our house from time to time. Thank you for giving us this chance! Oooh these look amazing! Can’t wait to make some! Nice giveaway….’tis the season for chocolate!! Thanks for the recipe. I have cocoa daily, especially in my coffee. We use a lot of cocoa because my granddaughter is highly allergic to a protein in milk. Would love to try all of these to see which I liked best. Mmmm…chocolate! The recipe sounds delicious! I’d love to win! Thanks for the giveaway! chocolate almond butter with a few dates to dip veggies in. I love almost anything chocolate…but my favorite at the moment is hot chocolate using your hot chocolate mix recipe!! Anything chocolate is great, in my opinion. Today we made some brownie batter hummus/dip (out of white beans) – delicious!! I enjoy a low carb smoothie using , cocoa, cottage cheese and stevia! Thanks for the giveaway Laura! Almost anything chocolate is a winner for me!! But at the moment, hot chocolate – made with your hot chocolate mix!! – is my favorite. Yum!! My favorite chocolate recipe is simply homemade cocoa!!! I’ve tried other stevia sweetened peppermint patties that I didn’t like at all. I’m excited to see how these taste. Yum!! Thank you for the recipe & the chance at the give a way of yummy cocoa!! These look awesome! I can’t wait to try them. I came on your site today looking for a recipe like this and so excited you just posted it! My favorite chocolate recipe is…chocolate. Just one ingredient: chocolate. Just one instruction: eat it. Fave chocolates: rocky road rice krispy treats; fudge; hot cocoa with some adult beverage added, topped with fluff; chocolate chip cookies; chocolate cake with white icing; chocolate covered anything (that wasn’t once alive); etc :). Can you use something other than stevia for the sweetener? I think it has a funny aftertaste. You can try it! Just adjust the amount, because stevia is so much more concentrated than sugar. Let us know how it turns out! Oh my goodness. These look so yummy. I may make these this afternoon. I love chocolate! I mean who does not love chocolate? So a few years ago I heard of paleo chocolate chili and had to try it. It’s now a snowy day favorite! Those sound absolutely fabulous! Thanks for your recipes, encouraging posts, and for sharing your great ideas! I’m so excited to try this recipe. Peppermint patties are one of my favorite threats but I’ve never seen a healthy recipe for them. Thank you so much!!!! Healthy and chocolate, my favorite two words put together! Just used up the last of my cocoa powder making a birthday cake for my mother in law! Thank you for a great new resource! Oooh your peppermint patties look delish! And no bake! One of my faves is double chocolate cookies. We love chocolate! This recipe is very similar to one I make to get in my servings of coconut oil, which we have tried with peppermint, but not with layers. Looks delicious! Will be making some soon. I am looking forward to trying these! Wow, these look amazing! Thanks for the recipe and for offering the giveaway too!! Oh, my! A favorite chocolate recipe? Where to even begin? I love peppermint patties. Brownies are also way up high on the list. For this time of year, so is hot cocoa. Thank you for the recipe. I’m going to try it. Hot cocoa is the best! My favorite recipe with chocolate is my mom’s chocolate “icing” aka fudge. It’s a favorite in our family. I’d love to try this healthier version of the peppermint patty. Yummy cocoa! Thanks for the recipe and giveaway! I love anything chocolate and would love to try different types of cocoa powder! Wow, a fabulous opportunity & a fabulous recipe! Thank you so much! I had no idea there were cocoa variations. Community is fantastic ? Also, I love anything that combines chocolate & peanut butter. My favorite chocolate recipe is my chewy cocoa brownies. Chocolate/cherry green smoothies! And fat bombs & hot chocolate…good cocoa powder goes fast in our house! These sound amazing! I make your fat bombs quite often but these seem even better! I love peppermint!! You have taken several things I love and made it into one magical bite!! My favorite chocolate recipe is a recipe from my Mom–Lazy Logs. It’s a chocolate cookie (almost fudge-like) shaped like a yule log. We smothered them in frosting and sprinkles when I was growing up, but since Laura has shown how good things can be with less sugar, these are great with about half the sugar and no frosting. Thank you for a great give away. Looking forward to trying these peppermint patties! Can I use sugar instead of Stevia?